Shimla: More than 21 percent of the adults in Himachal Pradesh use some form of tobacco. These include over 880,000 smokers, far higher than tobacco chewers, says state Health Minister Kaul Singh. The state has stepped up efforts to sustain the smoke-free status. 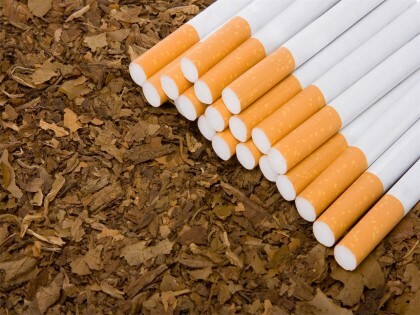 Recently, it has banned the sale of single cigarettes and ‘bidi’, the minister said at a conference organised on tobacco control by Bloomberg in New York on Tuesday. The hill state has a population of about 6.8 million. Kaul Singh said the process of drafting a comprehensive legislation that conforms to the recommendation and provisions of Article 5.3 of Framework Convention on Tobacco Control is under way. Singh said the state was declared smoke-free in July 2013 and now efforts are being made to make it the first fully-compliant state to all provisions of tobacco control laws. Quoting the Global Adult Tobacco Survey (2009-10), the minister said the state has the highest age of initiation (nearly 21 years). He said the government is making all-out efforts to implement National Tobacco Control Programme launched by the central government. “Our focus now is to protect the non-smokers from the harms of tobacco smoke,” he added.